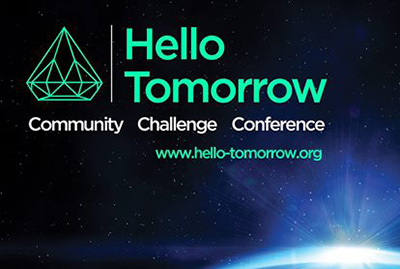 Hello Tomorrow, is a global organisation aiming to promote the transformation of innovative technologies into impactful products, will conduct the kick off event of its global start up competition on February 20 at the Department of Polymer Science and Rubber Technology CUSAT, Kochi. The event aims to promote the 2015 edition of the Hello Tomorrow Challenge and also to kick-start the establishment of local Hello Tomorrow Hubs in hundred selected hotspots worldwide. Theme of the Event:- "Turning Technologies to the impactful business"
The Hello Tomorrow 2015 Challenge is a global start-up competition covering all major fields of technology. The Challenge is open for start-ups and innovative projects which are based on an innovative technology. It comprises more than 400k Euros of potential gains for applicants, & 100k Euros in cash for the grand winner – this will be thorough monitoring for applicants along the competition. The application can be submitted till February 28 and selected applicants will be called for mentoring session during March-June. The grand finale of Hello Tomorrow Challenge 2015 will happen in June 25, 2015. Some of the speakers at the event include Arvind Sanjeev, founder, Diyhacking.com, Shameer Abdul Azeez, Scientist, NPOL and Chandu Nair, Investor, Chennai Angels. To get an invite go to: bit.ly/hellokochi or Click here.